As a UK resident, to me Jaguars are either large hunting cat-derived predators or cars. Not a Phone & Cable Company. 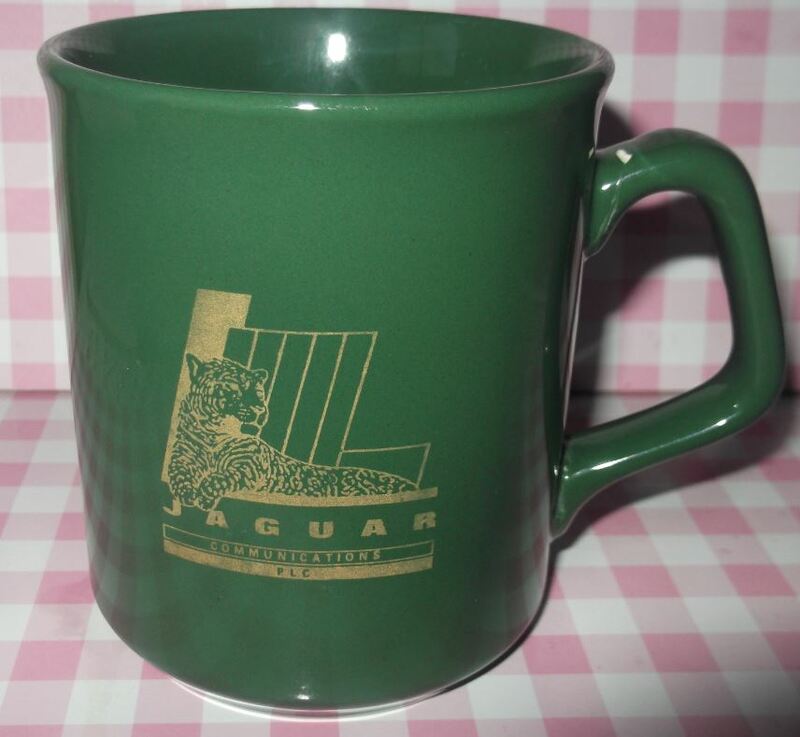 This Gold-on-Racing Green (never a legible combination as Forrest Recruitment should know) Sparta arrived as a donation into Mugspotters with no background info and the mug itself is bereft of any contact details, just a hungry big cat nestling on an L-shaped block. Our Internet fair-usage tariff was tested to the max as we plundered the web but all we could turn up was a U.S site bearing the same name. One of their mission statements is * To provide underserved rural areas with state-of-the-art telecommunications. We could do with a company like them in the UK. Do you know, you can’t even get DAB Radio in Abersystwyth! In this day & age! What sort of country are we living in?